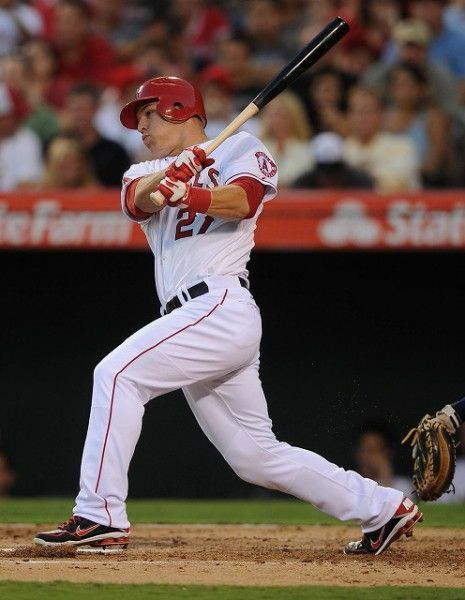 Mike Trout’s father Jeff was a ballplayer at the University of Delaware. He was a fifth-round draft pick as a second baseman by the Minnesota Twins in 1983. Mike put on #2 in honor to his childhood hero, New York Yankees shortstop Derek Jeter. During his High School, Mike played both Baseball and Basketball. In his junior years, Mike started as a pitcher and shortstop later he was shifted to the outfield during his senior years. From 2012 to 2016, Mike was second in on-base plus slugging, and was MLB’s most productive batter per plate appearance when adjusted for park factors (among all batters who had 1000 or more plate appearances). Since 2012, Mike has been a partner and investor in Bodyarmor SuperDrink, a sports drink. He has sponsorship agreements with Subway and SuperPretzel, and in 2014, Famous Shoe Company Nike started selling Mike Trout branded shoes.